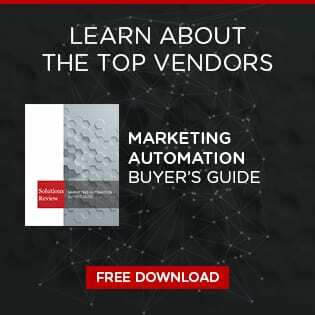 Analyst house Gartner, Inc. has released its 2018 Magic Quadrant for Multichannel Marketing Hubs. Gartner defines a multichannel marketing hub as a “technology that orchestrates a company’s communications with and offers to customer segments across multiple channels.” These can include websites, mobile, social, direct mail call centers, paid media, and even email. The report is in its first year of publishing, replacing the researcher’s Magic Quadrant for Campaign Management. Multichannel marketing tools often include functionality for customer and lead segmentation, campaign orchestration, workflows, and message execution. Modern products also feature advanced analytic capabilities that enable users to analyze and model data to help them profile and survey customer journeys. Multichannel marketing solutions are meant to tackle large amounts of data to perform event-triggered and real-time management in both inbound and outbound environments. Custom lead management and segmentation is a major theme in the report, with lead differentiation a key tenet to the success or failure of modern marketing initiatives. As a result, the inclusion of machine learning and artificial intelligence functionality in a wide variety of these solutions is no surprise. Data analytics can go a long way in ensuring that customers receive timely and relevant offers, and it allows marketers to pay special attention to their leads without having to do manual processes. This enables a greater degree of personalization and understanding of where each customer is on their journey. In this Magic Quadrant, Gartner evaluates the strengths and weaknesses of 21 providers that it considers most significant in the marketplace, and provides readers with a graph (the Magic Quadrant) plotting the vendors based on their ability to execute and their completeness of vision. The graph is divided into four quadrants: niche players, challengers, visionaries, and leaders. At Solutions Review, we read the report, available here, and pulled out the key takeaways. The leaders column features some familiar faces, as none of the 2017 top dogs saw a demotion or a major change in positioning. Adobe remains the best bet on Gartner’s horizontal axis for a second-straight year, with the strongest completeness of vision of any provider in the report. SAS retains the top spot on the vertical axis which means it had the greatest ability to execute this year. Oracle and IBM once again hover in place as formidable challengers for the top spot as well. SAP saw a little regression in its ability to execute score, but Gartner still believes the provider to be a major player in the space given its standing. Salesforce and Marketo round out the market leaders, with the former making up considerable ground in this iteration. The two companies are now tightly grouped in the middle-third of the column. Salesforce added a slew of capabilities in 2017, including Data Studio, a data sharing platform focused on second-party data. Marketo plans to upgrade the UI in its Engagement Platform in the months ahead in an attempt to increase marketer collaboration. For the second-straight year, Gartner chose to leave the challengers bracket blank, though we expect to see RedPoint Global make the jump there in next year’s Magic Quadrant. Though RedPoint’s tool may be a bit more complex than others in its class, the vendor increased its standing notably from 2017. The provider’s Customer Engagement Hub includes a customer data platform that unifies consumer profiles built from enterprise data. Web user experience for marketers remains a high priority upgrade for RedPoint in the months ahead. Sitecore retains its standing in the visionaries column with a solid position in the upper-third of the bracket.